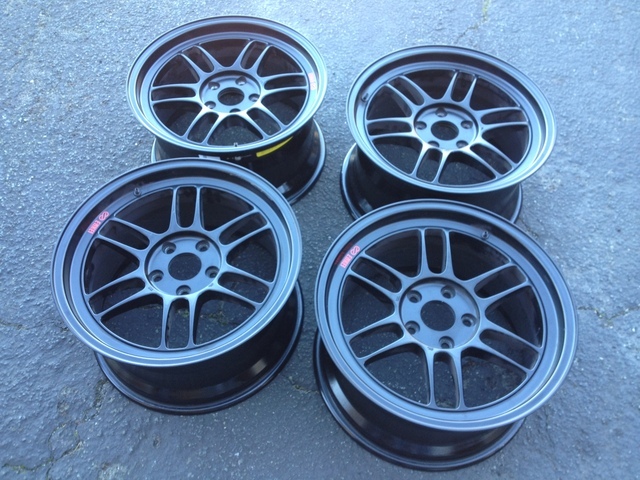 Just like title says, looking for 4 enkei rpf-1 rims either 17x9 or 18x9 45 mm offset. Preferably black but will take gold or silver if price is right. Will pay extra if there's star spec's, advan's or rs-3's with decent thread left on it. Also looking for borla exhaust but unless price is really good will probably buy new. And maybe a low mileage coil over set. Tein basics is what I'm looking at. 05 Mazda Rx8 GT, extras! !